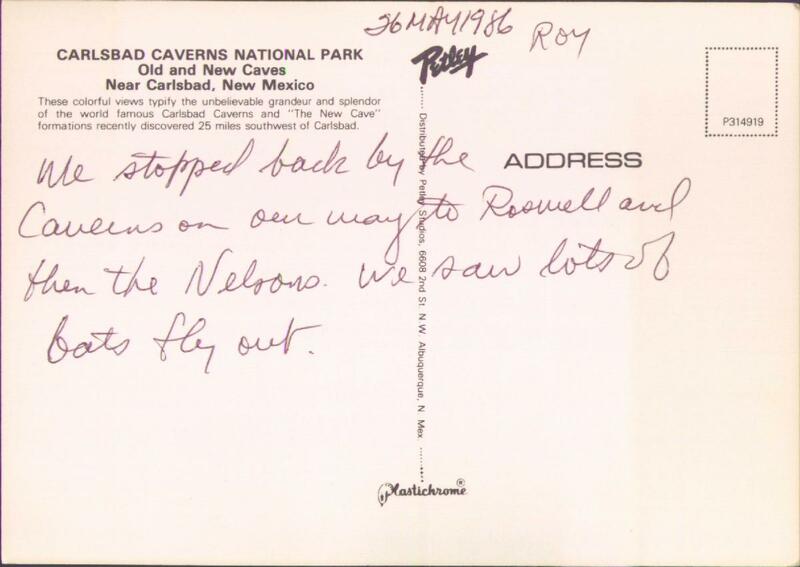 We stopped back by the Caverns on our way to Roswell and then the Nelsons. We saw lots of bats fly out. These colorful views typify the unbelievable grandeur and splendor of the world famous Carlsbad Caverns and "The New Cave" formations recently discovered 25 miles southwest of Carlsbad. 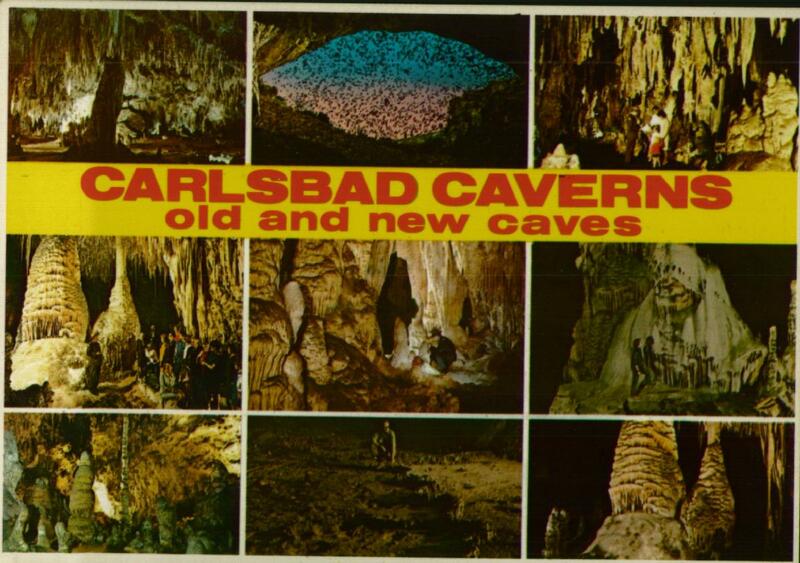 Personally, I prefer punk rock to New Cave.